If you think it’s impossible to get seats to see the world’s greatest chef René Redzepi create Noma Japan at the Mandarin Oriental Tokyo for a few weeks this winter, you’re pretty much right. But, you do have one last chance. If you think it’s impossible to get seats to see the world’s greatest chef, René Redzepi, create Noma Japan at the Mandarin Oriental Tokyo for a few weeks this winter, you’re pretty much right. The unprecedented experience, which runs from January to early February, sold out almost as soon as it was announced. But you do have one last chance. MAD, the Copenhagen-based nonprofit organization that’s dedicated to food and spearheaded by Redzepi, is in the midst of an online auction, and it’s sitting on a virtual goldmine: 11 different ways to experience Noma Japan. The lots include everything from a table for two to a table for six and a group dinner at the Sommelier’s Table, with Noma’s wine directors Mads Kleppe and Yuki Kaneko taking special good care of you with surprise vintages. 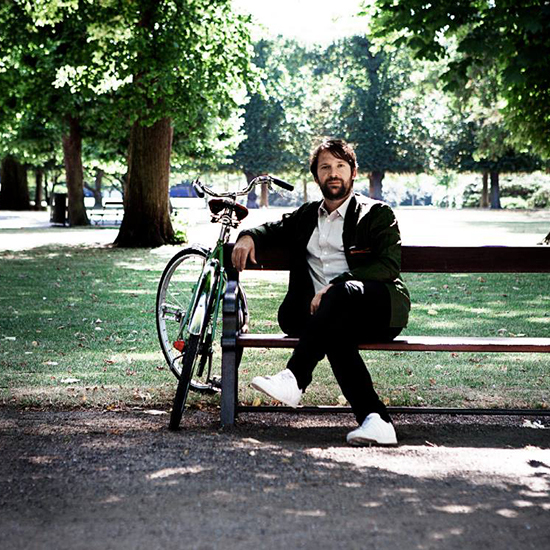 There’s also a package that includes dinner and a tour of the Noma Japan kitchen with Redzepi, who’ll have drinks with you (he’s a mezcal fan). Best of all is the Definitive Noma Experience for two, which includes reservations at both Nomas (Japan and Copenhagen) and sweet hotel accommodations. Bidding closes on Dec. 18, so now’s the time to make the move. (Fancy Christmas present!) And consider this: Redzepi is so focused on Noma Japan, he spent last January in Tokyo, familiarizing himself with local, seasonal ingredients in preparation for this event. And after Dec. 18, it will be impossible to see Redzepi and his team in action in Japan. Bid here.